The company’s products were first partly developed by a Plastic Surgeon. The products are very easy to use with a simple morning and night regime, that anyone can follow without the complexity of some other skin care brands. 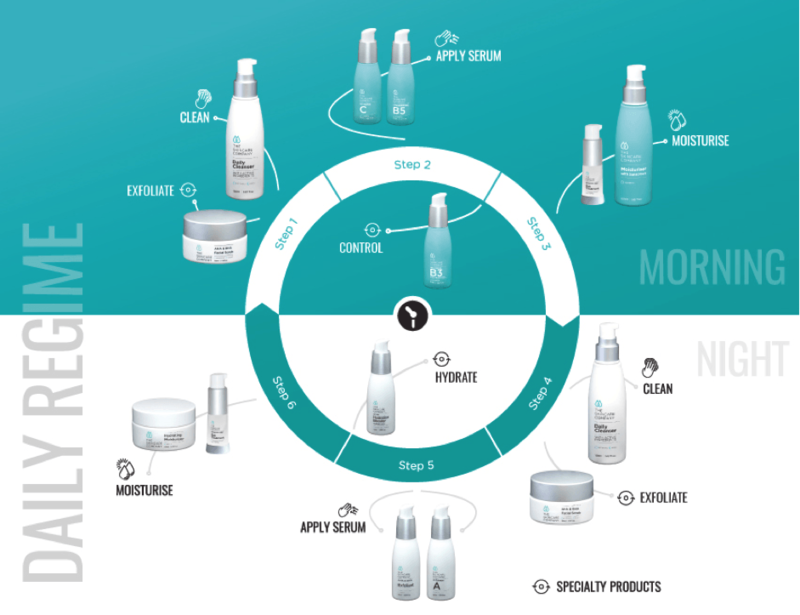 The morning regime bottles are coloured aqua blue and the night regime bottles are coloured white. 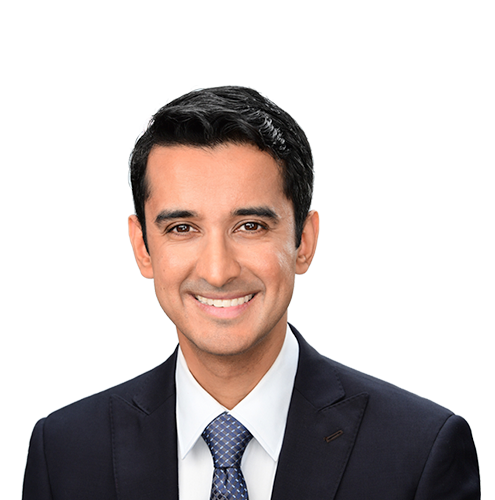 The skin care products formulated and developed by the Skincare company are the best we have seen with respect to effectiveness – our staff, including Dr Aggarwal, have personally tried and tested the range, which we are happy to recommend to our patients, and support with our reputation. The range is extremely good value for money – the product sizes are close to double the other skin care ranges with prices that are easier to afford. For skincare that is more effective than what you can buy at popular stores like Myer and David Jones, at a price that is often cheaper than those products, you will be hooked to this skincare range once you try it. Emulsify Daily Cleanser on wet hands. Massage onto face. Rinse off­ with warm water. Alternatively, exfoliate with Facial Scrub by massaging onto the face for 30 seconds before rinsing off­. Use once per week. Apply a small amount of Vitamin C to the face and allow to dry. Layer HB5 serum over the top. Gently apply Eye Treatment cream before finishing with Moisturiser with Sunscreen. Emulsify Daily Cleanser on wet hands. Massage onto face. Rinse off­ with warm water. Alternatively, exfoliate with Facial Scrub by massaging onto the face for 30 seconds before rinsing off­. Use once per week. Use Exfoliant serum and Vitamin A cream on alternate nights. Apply a small amount to the face, avoiding the delicate area of the nose and eyes. Gently apply Eye Treatment cream before finishing with Hydrating Moisturiser as the last step in your regime. The Skincare Company Fruit Enzyme Facial Mousse Cleanser gently exfoliates and cleanses away surface impurities, excess sebum and make-up. Infused with fruit extracts and nourishing hydrators. 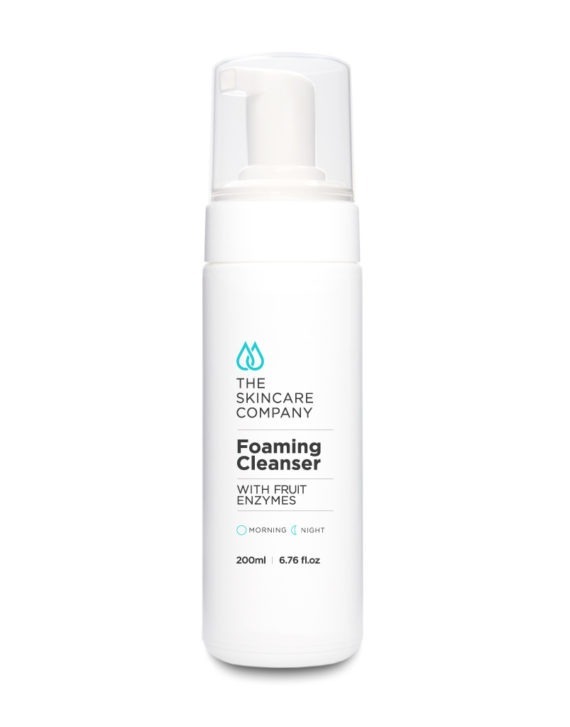 This self foaming cleanser is an alternative to the popular Daily Cleanser and is for people who prefer a lighter, more aromatic formulation. 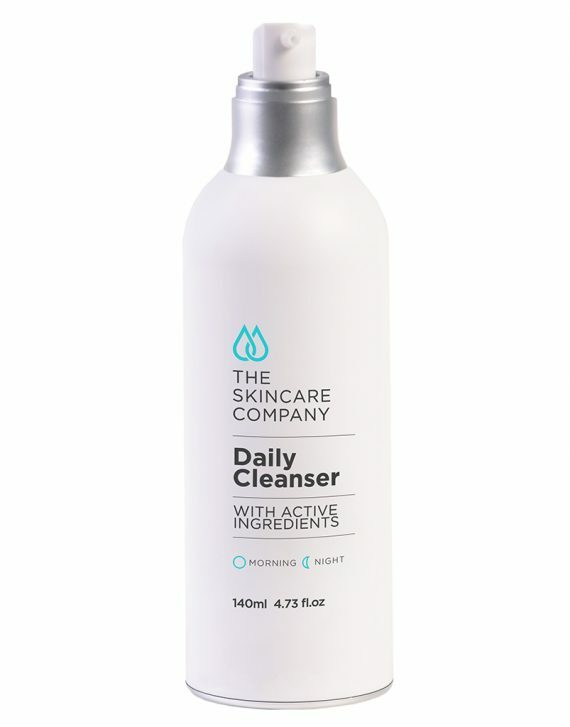 This daily cleanser gently removes make up, oil and dead skin cells from your face. It helps prevent breakouts by controlling sebum production, boosting skin immunity and reducing dryness and irritation. This fragrance free cleanser is the first step in your skin care regimen both morning and night to keep your skin looking radiant and healthy. Suitable for all skin types and has been developed to minimise sensitivity. 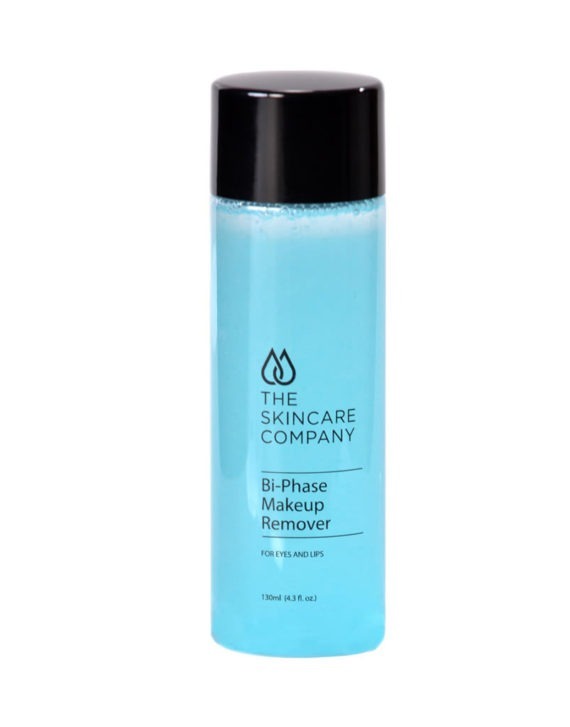 Contains lactic acid combined with clinically proven antioxidants and extensively researched Vitamin B3 (niacinamide) and Vitamin E.
The Skincare Company Bi-Phase Makeup Remover effectively erases stubborn mascara and long-lasting lipstick. A micellar water with unique oil and water phases combined with glycerine for lightweight moisturisation to soften and hydrate delicate skin. The oil phase loosens and lifts persistent makeup, whilst the water phase gently washes away impurities. This moisturiser provides 3 moisturising activities in the form of anti-oxidants, phospholipids and phytoceramides that help improve skin barrier protection, keeping the skin more hydrated. The added benefit of a SPF of 15 protects skin from UV damage. As it is free from parabens and oils and has added niacinamide, it is non pore clogging. Perfect for an everyday moisturiser to include in your daily morning regime. Topical application of vitamin C can lead to a finer, smoother skin, with improved colour, tone and texture. 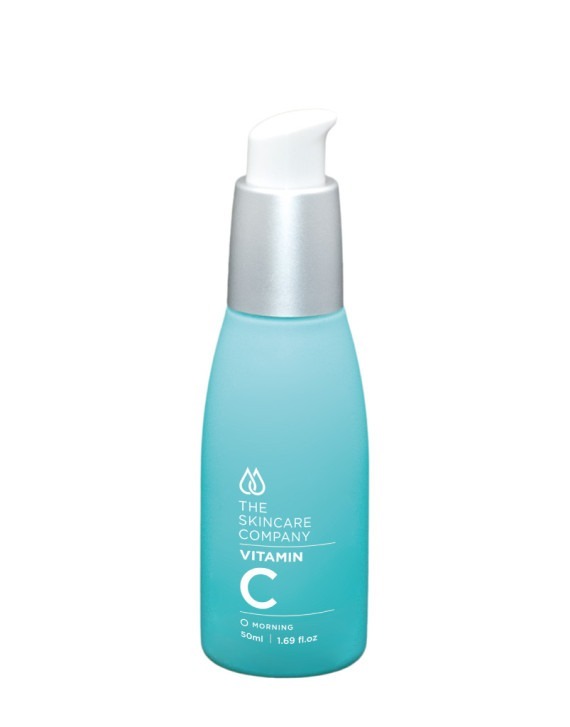 This Vitamin C Serum will aid collagen production and skin repair while acting as a powerful antioxidant. When used together with Hydra B5 Complex serum, these products will make your skin look and feel younger and help to prevent the appearance of aging. Hyaluronic acid occurs naturally in the human body and is central to regulating cell growth and renewal. The fact that this acid binds with water accounts for the superior hydrating properties this product delivers. Hyaluronic acid also stimulates wound healing as it provides a matrix to enable collagen production. These properties help to keep the skin looking smoother and younger. Vitamin B5 or Pantothenic acid has shown to aid in wound healing and decrease the effects of acne. The Skincare Company has developed this light, serum based formulation of niacinamide (vitamin B3), the latest active ingredient designed to rejuvenate and strengthen the skin against a broad range of skin conditions. 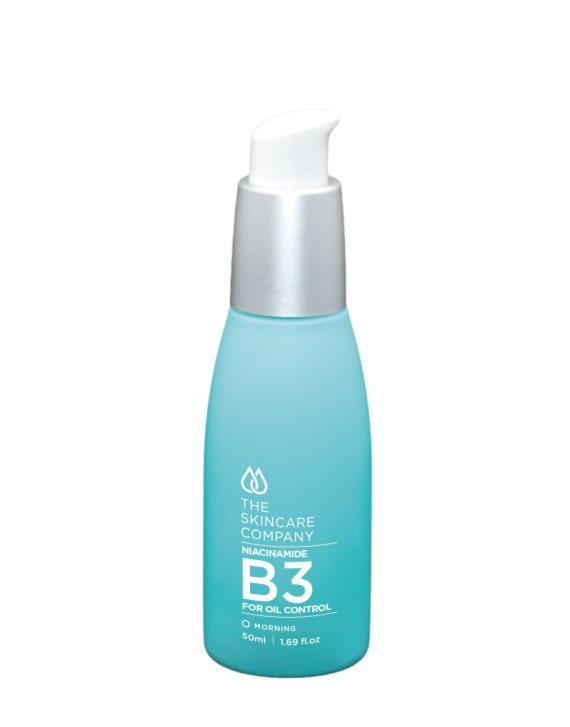 Scientists have now discovered that vitamin B3 in the form of niacinamide should be added to your list of skin care essentials. Niacinamide has been shown to help normalise sebum/oil production, and is therefore effective in helping to treat acne. As niacinamide helps to strengthen the outer layer of the skin it can be very effective in helping to treat pigmentation whilst hydrating and nourishing the skin. It is ideal for all skin types and should be used in the morning. 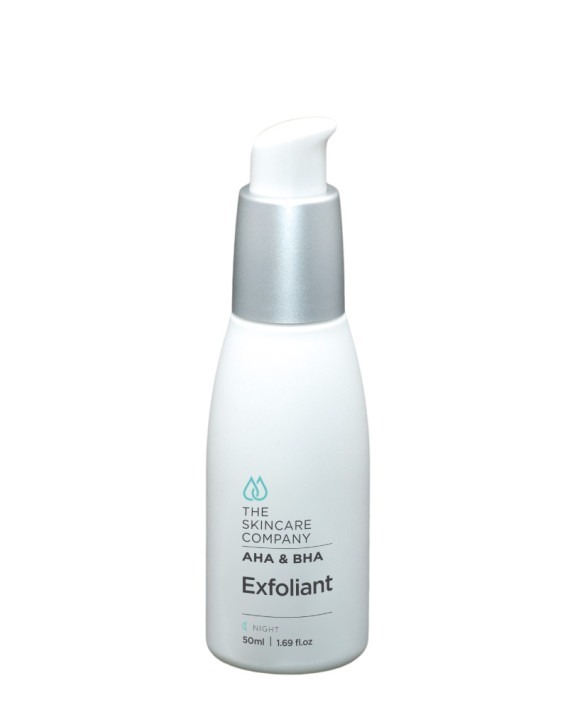 The Skincare Company’s Exfoliating Serum with alpha and beta hydroxy acids, is designed to significantly improve skin texture. It removes dull, dead surface cells to aid in the stimulation of cell turnover. Therefore helping reduce skin discoloration and excess pigmentation. 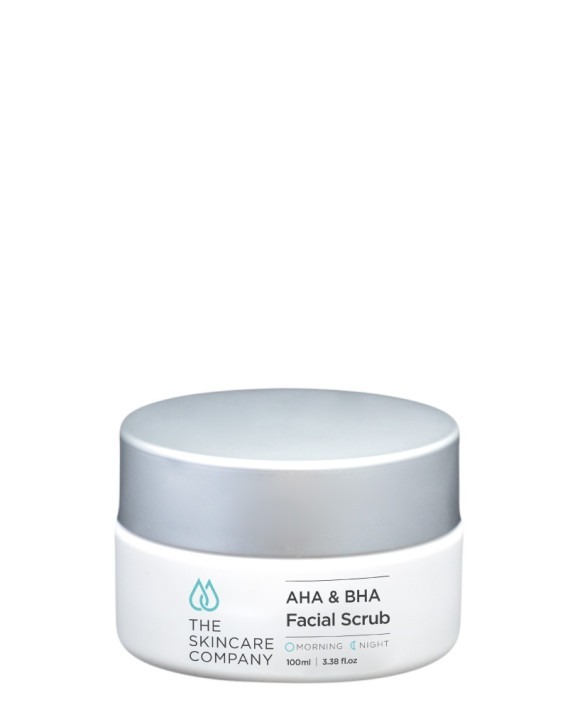 AHAs and BHAs have been proven to assist the condition of decongested and acne prone skin. Exfoliating Serum also enhances the penetration of other active ingredients of your skincare routine (vitamin A, B and C etc.). 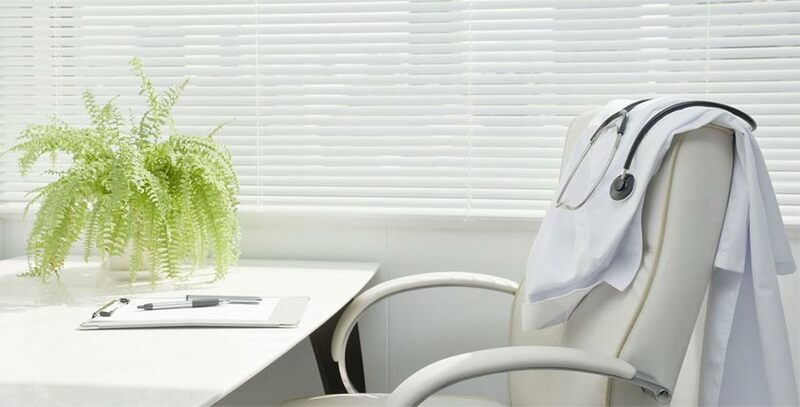 All the benefits of AHAs without the irritation! The formulation is predominately lactic acid based and should be used only at night. This is one of the Hero products! 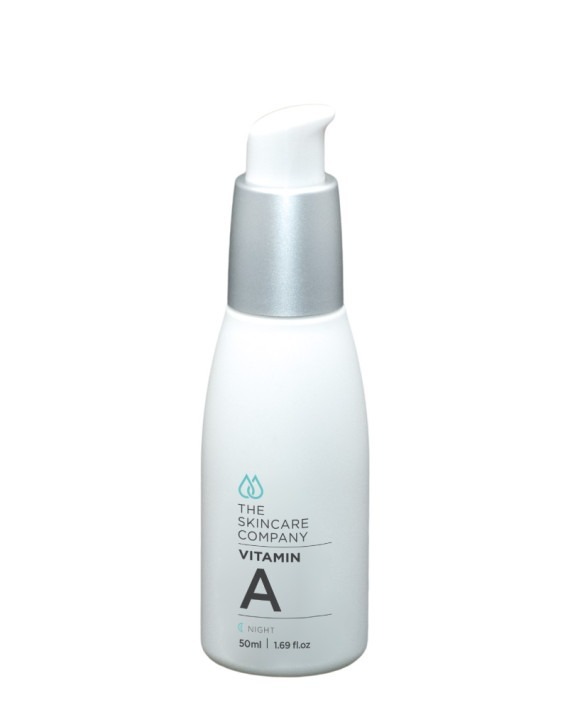 Vitamin A derivatives are known to reverse photo-aging by reducing wrinkles and smoothing skin texture. They can also treat acne partly through decreasing actinic keratosis and lentigines. It has also been shown to improve skin discoloration, increase dermal collagen, decrease abnormal elastin and decrease melanin. Skin cells are very efficient at this conversion since it has developed enzymes to convert between storage and active forms. Clinical studies show that retinyl palmitate has anti-acne properties and improves visible signs of aging, such as decreasing the appearance of fine lines and wrinkles. 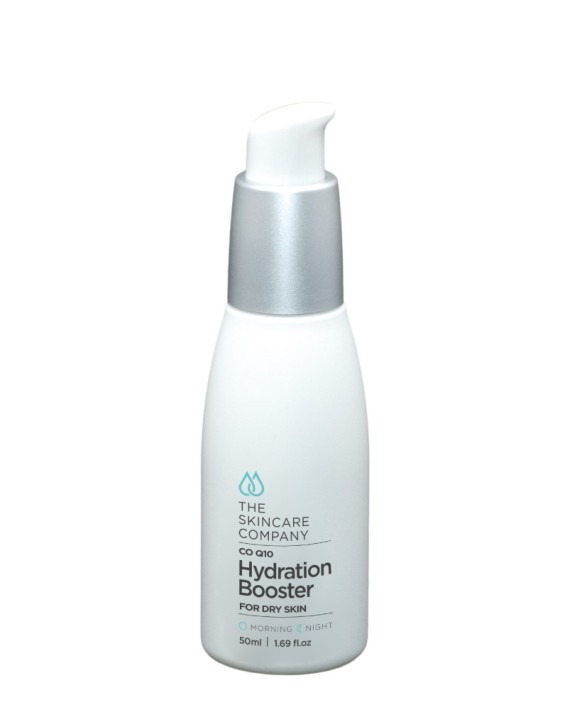 The Skincare Company Hydration Booster serum is formulated using some of the most nourishing and regenerative ingredients to help combat the delicate aging process. Coenzyme Q10, also referred to as CoQ10 or ubiquinone, is a vitamin-like compound that occurs naturally in the body. As an antioxidant, it helps to protect skin cells from damage caused by the body’s own free radicals which are excessively generated as we get older. Used under The Skincare Company Daily Cleanser, it can be applied to the face and neck at morning and night. The Travel Pack contains our six most essential products, stored in travel friendly 10ml airless tubes. This allows you to take your favourite skincare products with you when you go away. The Travel Pack is also an ideal way to trial the effectiveness of The Skincare Company range. It also makes a fantastic gift for someone as they too can trial the key products from The Skincare Company. This product incorporates a combination of AHA, BHA and fine bio-degradable bamboo exfoliating granules, The Skincare Company Facial Scrub helps to loosen and remove the dead epidermal skin cells. This leaves newly revealed cells to be treated by the special antioxidant and soothing properties of the facial scrub resulting in a smooth and refreshed appearance. Eyes are the first place you should concentrate on while starting an anti-aging regime. This is because the skin around the eyes is extremely thin and fragile and lacks oil glands that provide natural moisture. Fortunately, there is an extensive range of anti-aging cosmetics specifically formulated for the eye area that help to nourish the surrounding skin. 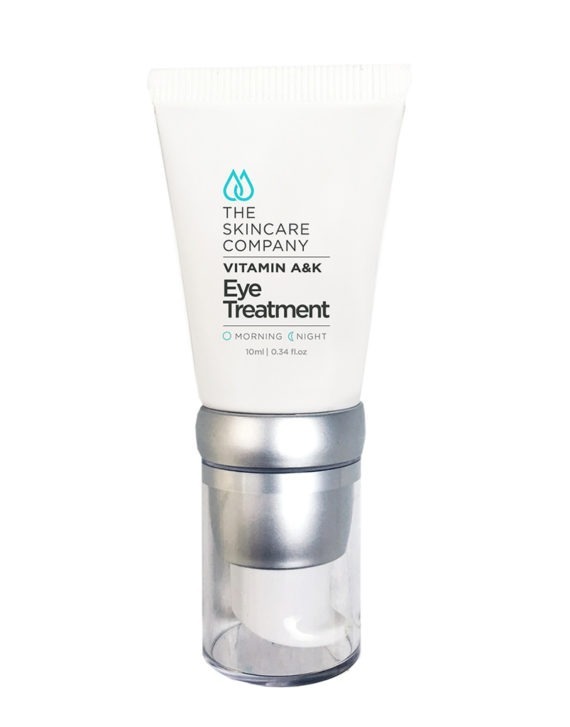 The Skincare Company’s lightweight eye treatment cream contains vitamin K and retinol and is specifically designed to restore the delicate skin around the eye area and target dark circles. 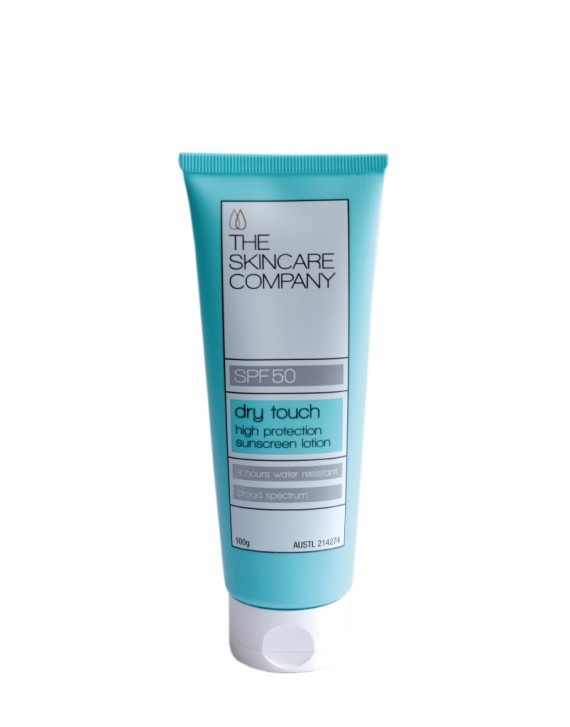 This is a highly protective sunscreen (SPF50) that has been specifically formulated to be smooth and silky on the skin, while leaving no oily residue on the hands after application. 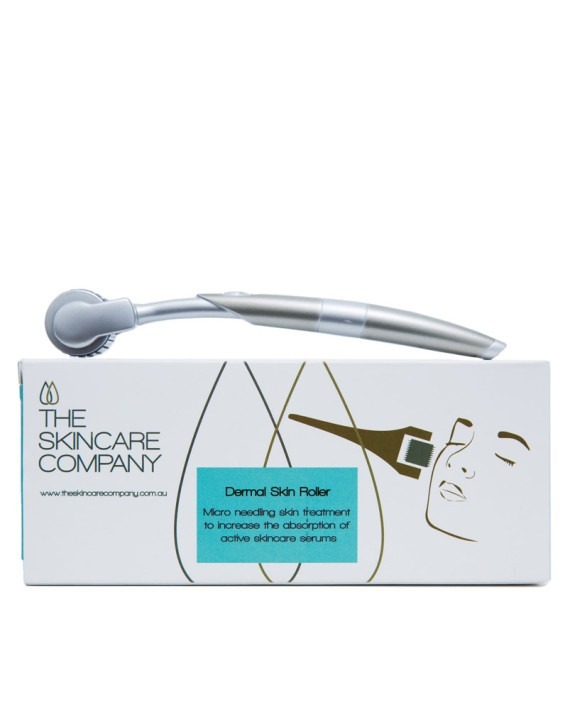 The Skincare Company Dermal Skin Roller has been designed to be used in the morning in conjunction with our active serums. When gently rolled on the face, its super fine 0.25mm needles pierce the epidermus increasing the absorption of our active ingredients by 200 times. Roll the skin following the directions provided and then apply our morning serums. 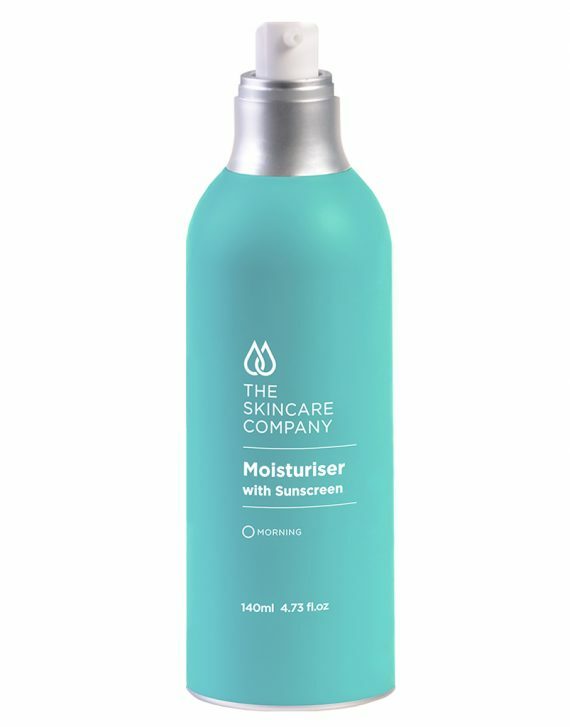 Once the serums have dried, apply The Skincare Company’s Moisturiser with Sunscreen.